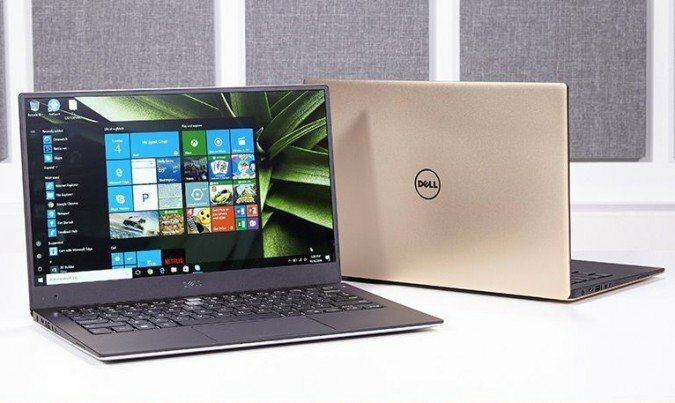 If compact screens are not your type, and you are looking for the best 15.6 inch laptops to buy, then we have a list of laptops that will suit your needs. Since laptops hardly come in a one size fits all package, we have put together the best laptops considering different aspects. A gamer will have completely different needs from the average student who needs a laptop to simply take notes and light entertainment. Then we have Mac OS and Windows OS to consider too. Screen size is one of the major deciding factors while buying a laptop. There are bountiful options of screen sizes available in the market. We recommend 15.6-inch laptop as the most appropriate screen size. It’s neither too large nor too small. One may argue that 13-inch laptops score well in portability but these days, 15.6-inch laptops are ultra-thin, light and hence easier to carry around. The screen size of 15.6-inch is suitable for multimedia streaming, video editing and other such tasks. Moreover, it also is able to incorporate a separate Graphics Processing Unit. Such laptops then have an increased usability in gaming. Since 15.6-inch laptops are bigger than 13-inch laptops, they have extra battery space. As a result, they have better battery life. In comparison with larger laptops like the 17-inch ones, the 15.6-inch screen laptop occupies less space. It is cheaper than the larger size laptops and has equivalent features. The extra hardware options available on larger laptops are redundant as 15.6-inch laptops offer almost all required hardware features. Here’s a low-down of the best 15.6 inch laptops. Dell XPS series has been the favorite of many ever since its release. Dell XPS 15 is the most distinguished model in the series. The laptop weighs around 2 kg and has 14.1 x 9.3 x 0.6 inches dimensions. It has a solid, clean and functional design. The laptop’s silver color makes it look sleek and premium. The body is made up of aluminum. The laptop has two USB 3.0 ports, an HDMI port, an SD card reader and a Thunderbolt 3 Port. It also has headphone-mic combination jack and Kensington lock port. The keyboard is easy to type for long periods and its back-lit keys are arranged in a unique way. The wide touchpad is responsive to touch. You can also attach a fingerprint scanner next to the touchpad. The webcam can be found at the bottom of the screen. Despite the low resolution, the camera is decent enough for video chats. However, due to the position of the camera, you can often end up seeing your fingers picked up by the camera since they are nearby. It gets a bit more annoying because if you type anything on the laptop with an ongoing video chat, your companions get to see only the view of your fingers typing. The audio of the laptop is very good and gives out the loud and clear sound. The 4K display is marvelous with Infinity Edge display. The screen looks huge as there are hardly any bezel around the top and the sides. The display exhibits vibrant and lifelike colors. The brightness of the screen is also noteworthy. The processor in the laptop is Intel Core i7-7700HQ with 16 GB RAM and 512 GB storage. Multitasking is handled with great ease. Dell XPS 15 has Nvidia GeForce 1050 GPU with 4GB of VRAM and works like a breeze when it comes to entry-level gaming. It delivers satisfying performance and renders beautiful graphics on the screen. The laptop is a photographer’s delight as it works wonders in photoshopping. The battery life of the laptop is strong and can last almost the entire day from a charge. 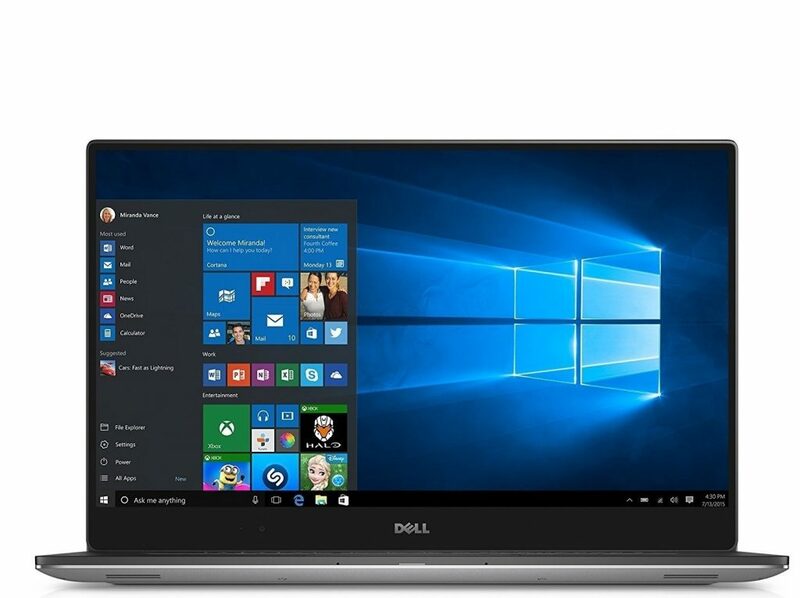 Dell XPS 13 9365 comes with a price tag of $1699. This laptop from LG is filled with surprises. It is powerful and packed with features. 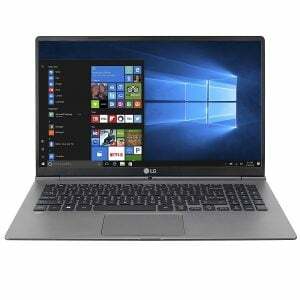 This 15.6-inch laptop is made from magnesium alloy and LG claims it to have military-grade resistance to shock, vibration and spraying salt water. It looks simple with clean lines. However, the lid is very flimsy and one may feel it bends a bit as well. The laptop is lightweight and measures only around 1 kg. LG Gram 15Z980 has a USB Type-C port, an HDMI output, two USB 3.0 ports and a traditional barrel power jack. It also has a microSD card slot, a headphone jack, and a Kensington lock slot. The laptop’s touchscreen display is FULL HD which looks exceptional with sharp and vivid images. However, the screen looks dark even at maximum brightness setting. The touchscreen is sensitive in recognizing gestures; however, it is not stylus-compatible. The keyboard of the laptop comes with a numeric pad but they have skimped the size of ENTER and SPACE keys which need time in getting used to. Gram has an ‘easy-on-the-eyes’ reader, which reduces the blue light and makes it easier on the eyes while using the laptop in the dark. It has a mid-sized touchpad and is sensitive to motions like two-finger scrolling. FinFingerprintader is located at the top right corner of the keyboard. The speakeon of the laptop are weak and do not deliver clear or loud sound. The LG Gram’s 1080p webcam gives out really smooth and sharp images. Performance is the surprise package of the laptop. It has 8th generation Intel Core i7-8550U with 16 GB RAM. This means it is really quick during heavy work load and ‘smooth like silk’ during multi-core processing. A major setback with Gram is that it does not have a separate GPU. With such amazing configurations, the GPU would have taken it to a next level but LG decided to skimp in this area for reasons better known only to them. One cannot even enjoy playing the lighter games. With 1TBB SSD storage, you don’t have to worry about space for saving your files. The 72Whr battery is a‘show-stealer’. LG claims that the battery runs over 16 hours. With so much juice, we do have the comfort of forgetting the charger. LG Gram 15Z980 comes with a price tag of $1896.99. HP Spectre x360 15T is a 2-in-1 convertible laptop which is flexible, fast and suits every occasion. Spectre has a very sleek and minimalistic design. The aluminum body looks classy with its curvy edges. Hinge of the laptop is robust and detaches the screen from base with ease. Spectre has one Thunderbolt 3 port, one USB Type-C, a fast charging USB 3.1 port, a HDMI port and a SD card reader along with headphone jack. It weighs just 1.9 kg and measures 14.0 x 9.9 x 0.7 inches. The system’s 15.6-inch display is QHD and offers solid colors and excellent details. The touch sensitivity of the display is good. It tracks the touch input correctly and recognizes navigational gestures. The Active Stylus pen provided with the system has lag and is not up to the mark. The pen, however, can be charged independently unlike many of its counterparts. It is very easy to use the keyboard in this laptop. The touchpad is wide enough and allows easy navigation and 2-3 finger gestures. The Bang & Olufsen speakers deliver great sound. The 2.0 megapixel webcam is below average and clicks grainy pictures. HP Spectre x360 15t boasts of 8th generation Intel Core i7-8850U processor with 16 GB RAM. This enables high-speed performance and solid productivity. The laptop has a discrete GPU with 2GB Nvidia GeForce MX150 card. It is just a perfect GPU to play mid-levels games effortlessly.The 512GB PCIeNVMe M.2 SSD in the Spectre x360 15t is sufficient storage to keep you going. The battery life of this 2-in-1 laptop is great and powers around 8 hours. 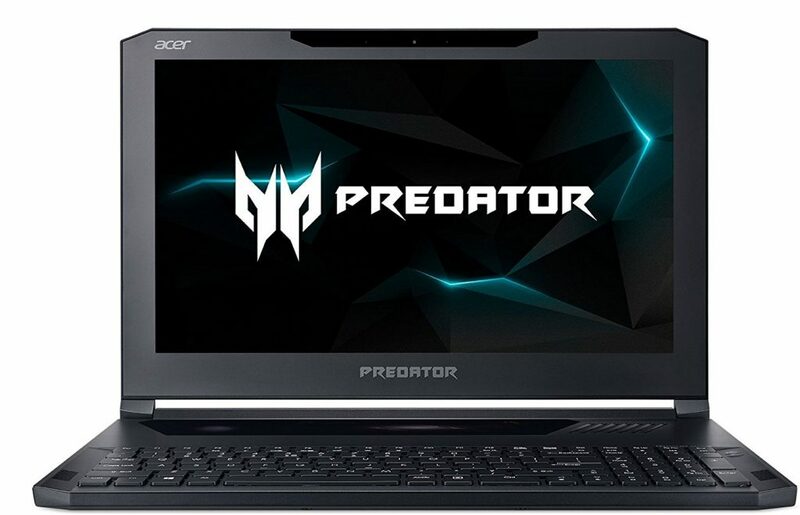 Acer Predator Triton 700 bundles numerous wonderful features in this model. There is nothing old school about the design of this laptop. From its amazing inky-black color to its beautifully cut-off corners, this laptop screams out to the gaming folks. The laptop is 2.4 kg in weight. It is very slim with dimensions of 15.5 x 10.5 x 0.7 inches. The slimness of the laptop is due to the Max-Q technology, which shrinks the huge GPUs down to a slim size. The Predator has two USB 3.0 port, one USB 2.0 port, one Thunderbolt 3 port, a HDMI 2.0 port, a full Display port and a power port and Gigabit Ethernet. It also has jacks for headphones and a microphone, and a Kensington lock slot. The predator has 2.8-GHz Intel Core i7-7700HQ processor without turbo boost but it has no effect on its speed or performance. Its 32 GB DDR4 RAM carries out multitasking chores like magic. With an Nvidia GeForce GTX 1080 Max-Q GPU and 8 GB of VRAM, you can indulge into gaming to your heart’s content. It has 512 GB storage, which is good enough to store all your games and files in one place. The Predator has a 15.6 inches screen with a screen resolution of 1920×1080. The screen displays vivid and bright colors. The detailing is sharp and the video/ images are lifelike. The island-style keyboard of the laptop is backlit and includes numeric-pad. The backlighting of the keyboard has been taken a notch higher. You can customize the color flashing on each key and that too with 11 different effects. The touchpad of the predator is also very interesting. To start with, Acer breaks all norms and has placed it above the keys on the keyboard. It is made up of strong Corning Gorilla Glass. This clear glass makes the hardware below it is visible; this may be appealing to a few. The glass touchpad is fairly easy to use but needs time in getting used to. The Predator packs a mean sonic punch in its top-mounted speakers. The sound is loud and clear with a support from Dolby Atmos software. All this powerful performance faces a setback when it comes to battery. The battery lasts only a disappointing 2 hours. Acer Predator Triton 700 is available with a price tag of $2670. Lenovo Yoga 720 defines flexibility, features and affordability to you. 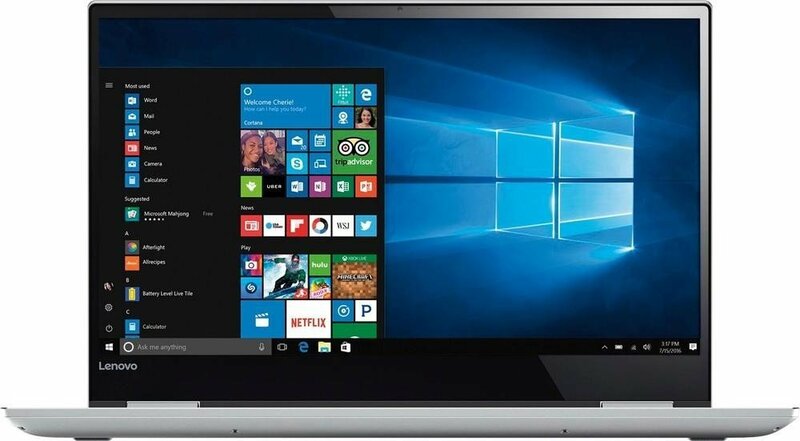 The Yoga 720 has a plain and corporate gunmetal gray color. It is made up of aluminum and looks serenely pleasant. This robust laptop weighs around 2 kg and has dimensions of 14.3 x 9.5 x 0.8 inches. The hinges permit it to be used as both a tablet as well as a laptop. The laptop has one full-size USB 3.1, one USB 2.0 port and one Thunderbolt 3 port. It also has a headphone jack. The 4K Ultra HD display of the laptop is dazzling. It displays brilliant true-colors. The screen is bright and displays sharp images. The keyboard is slightly crumped and is a bit troublesome to type on. The touchpad is spacious enough and accurate. The speakers with preinstalled Dolby Atmos software are loud and clear. They give out a balanced sound which is loud enough to fill the entire room. The 720p camera is decent enough to click or record sharp images or videos. Performance of the laptop perfectly defines “work hard and play harder”. With a 2.8-GHz Intel Core i7-7700HQ CPU and 16 GB RAM, there is no lag while working on multiple tasks simultaneously. Discrete GPU having Nvidia GeForce GTX 1050 GPU, 2 GB of video memory and 8 GB of RAM makes Lenovo Yoga 720 play-ready. You can play light to mid-level games with utmost satisfaction. All the above features may have got you worried about the battery life. However, you can breathe a sigh of relief now. The battery life is great and lasts for about 8 hours. For creative working i.e., multimedia related. 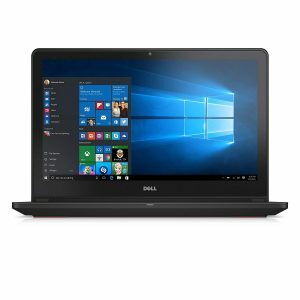 Versatile laptops with light gaming. This 15.6-inch touchscreen laptop is feather light and has a sleek design. It is perfect for people who like thin, lightweight laptops but do not want to compromise on screen size. An average user will find that the battery lasts them an entire day and the comfortable backlit keyboard makes typing a breeze on this cool device. The Full HD IPS display ensures easy viewing for long hours so that your eyes do not feel tired even after working for a long time on it. The laptop draws its power from 7th generation Intel Core i7 processor which is paired with 16GB. 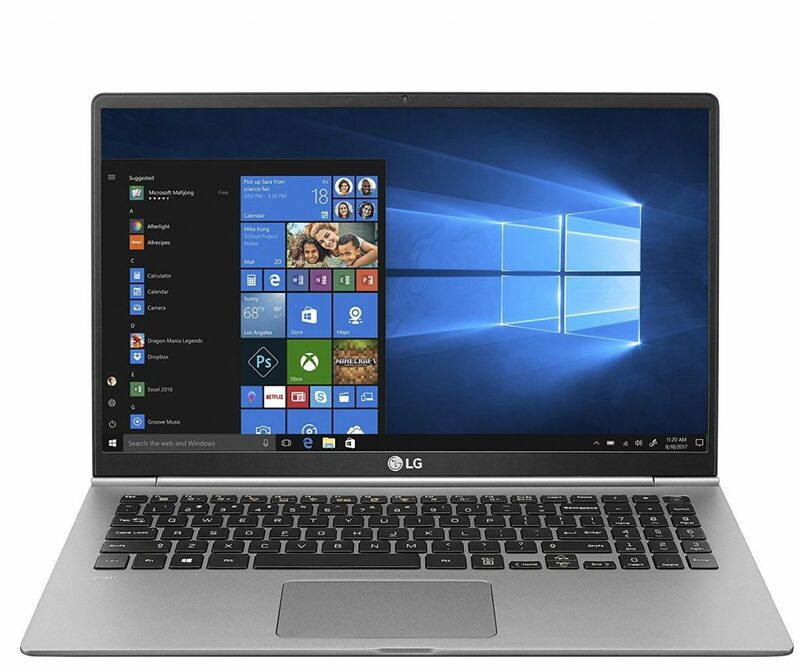 The 15.6 LG Gram comes with a snappy 512 GB SSD storage and it runs on Windows 10 Home. 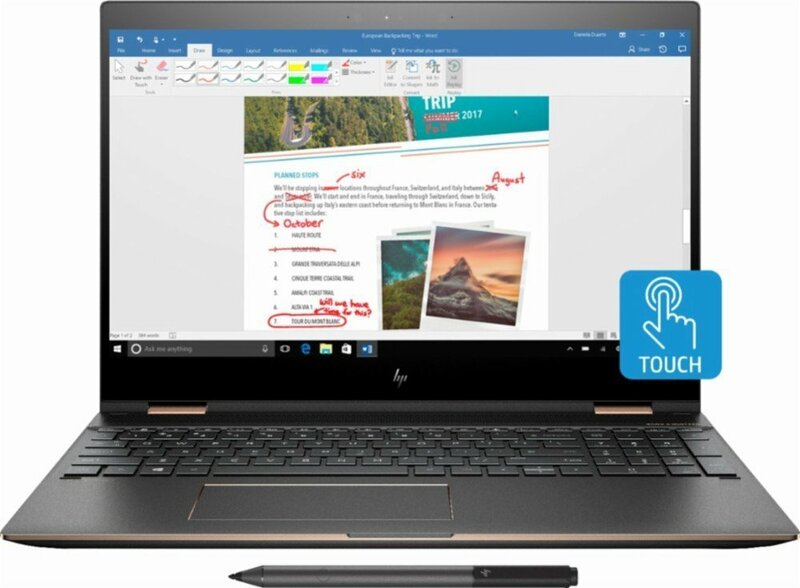 The touchscreen laptop is ideal for work or home entertainment. The laptop also comes in a non-touch version which uses an Intel Core i5 processor and costs less. Depending on your choice of the screen you can buy either of these. Powered by an Intel Quad Core i7-6700HQ 2.6 GHz processor with 8GB RAM, this laptop is great for gamers looking for an affordable device. It is fitted with the NVIDIA GeForce GTX 960M 4GB GDDR5 graphics card that makes gaming a lot of fun on this laptop. The backlit keyboard ensures non-stop gaming fun even when you are playing in the night. The touchpad is very responsive and helps in capturing accurate gestures. It has 1TB HDD and it also includes 8GB SSD for speedy storage. While there is no optical drive included in the laptop, most of us may already be getting used to modern, sleek designs. The screen is bright and the laptop is built to work for long hours without heating up too quickly. MSI is famous for its extraordinary laptops which are loved by serious gaming enthusiasts. 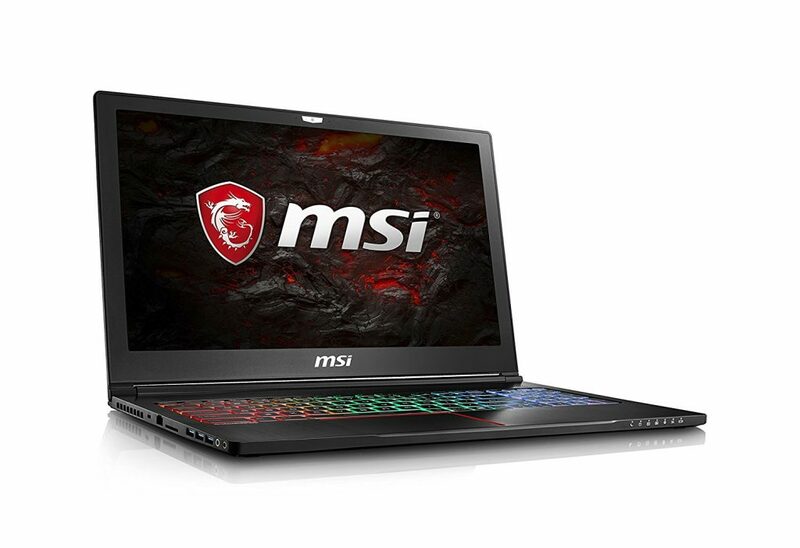 The remarkable set of specifications on every MSI laptop makes it great not just for gamers but for anyone looking for a laptop that can withstand powerful applications. With Intel Core i7-7700HQ processor, 16GB RAM and NVIDIA GTX 1060 6G Graphics card, this laptop is a beast. It features a snappy 512GB SSD and comes with 2TB HDD for storing heavy applications and files. A full-color backlight keyboard makes gaming easier and it is also VR Ready for gaming related to VR. The UHD and 4K IPS Display produces crisp images on the display. It has NAHIMIC 2 Virtual Surround Sound Military Technology and the Cooler Boost Trinity makes it easy for you to work on it for long hours without worrying about overheating the machine. 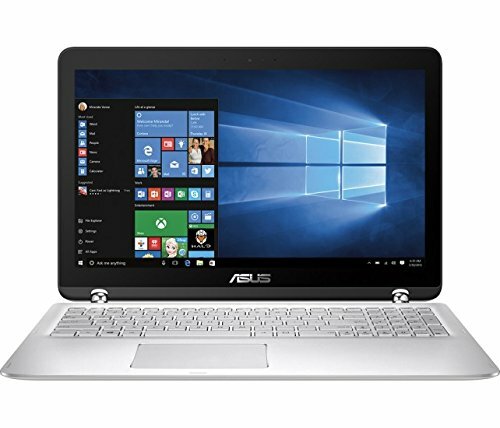 Priced at $649, this Asus laptop offers a lot of great features at a decent price. You get a 6th gen Intel Core i5-6200U Dual Core Processor with 12GB RAM and 1TB HDD storage. It has a convertible 360-degree flip and fold design which allows you to use the laptop at your own comfort. The backlit keyboard makes it easy for you to work on it even when in dimly lit areas. It runs on Windows 10 Home and features a decent keyboard and display. It is a good laptop for someone looking for power at a budgeted price. Powered with the 7th gen i3-7100U processor and 4GB memory and 1TB HDD, this is a laptop for everyday needs. It keeps things simple and is built for basic use. It runs on Windows 10 Home and lasts 12 hours long on one charge. The laptop makes it easy for users to upgrade the hard drive and memory if you want to improve its performance. 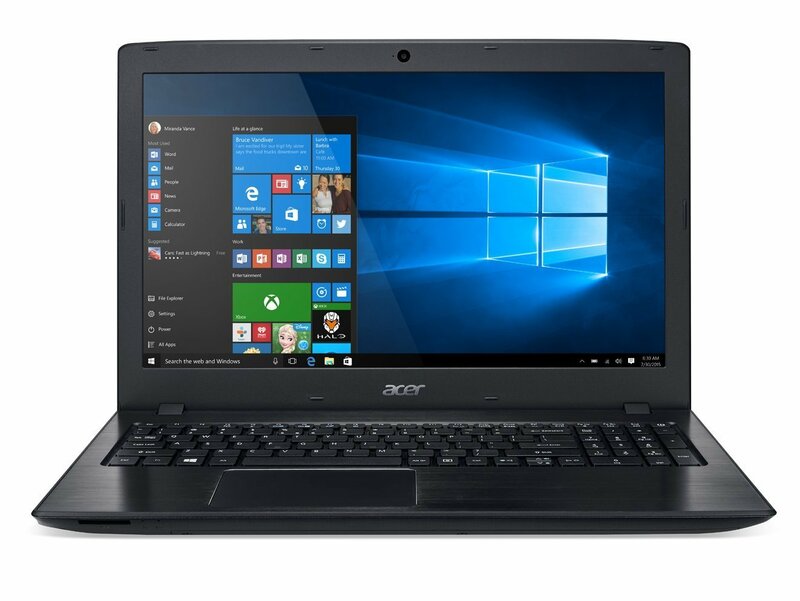 This Acer laptop has a beautiful form and its full-HD LED-Backlit LCD display provides exemplary viewing experience. The colors on the screen are brilliant and the laptop provides adequate connectivity options. Anyone who needs a well-performing laptop without having to spend too much will find this to be a splendid device. It works very well and the battery back is also decent enough. Since some of us can hardly get over our love for Mac OS, the 15.4 inch MacBook Pro fits the needs of Apple fans looking for a laptop which is about 15 inches. It features a 2.6 GHz Quad-Core Intel Core i7 processor along with 256GB SSD and retina display. 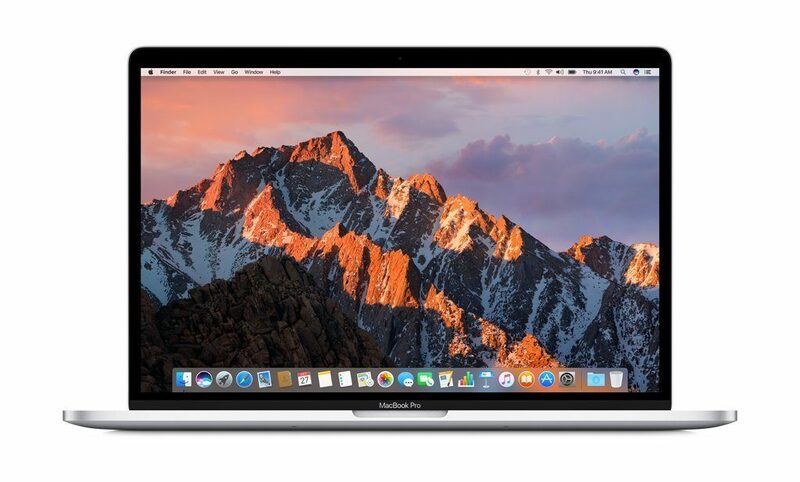 It runs on Mac OS Sierra and ensures splendid performance even when you run heavyweight applications. MacBook users will agree that this laptop is great for work, home, and even office use. While this may be pricier than most other laptops, Apple certainly offers value for money by providing exceptional customer support, brilliant display, and remarkable performance. These are some of the best 15.6 inch laptops to buy in 2019. If you are planning to buy such a laptop then you can go for any of the above-mentioned laptops. All are good in performance, battery and other features.